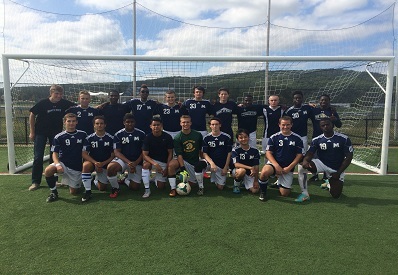 If you are looking for a higher level of activity in a student-run setting, then the club sports program at Mount St. Mary's University might be the place for you. Our teams generally practice two to three times a week and play other colleges and universities throughout Maryland, Pennsylvania, Virginia and Washington, D.C.
All club level teams at the Mount are run by a group of student leaders who work alongside a coach/advisor to handle finances, schedule practices/games, complete fundraising/community service activities, and more. Our team is entering our tenth year, and we are proud to be members of theNational Club Baseball Association, Division 2 District III North Conference. Our conference consists of University of Maryland, Neuman University, Rowan University, John Hopkins University, Stevenson University, and the Mount. Find out more about NCBA Division II online. We compete year-round with league games taking place in the fall and spring, and non-league scrimmages scheduled throughout the year. Our home field is at the Emmitsburg Community Park, just a few miles from campus.Our Team currently consists of 20 members ranging from freshman to seniors. There are many returning players on our roster that have experienced the high level of play throughout our conference. Our team is always looking for new players who share a love of the game and wish to contribute to the team. Throughout our team's history, we have become more competitive each season. We approach each series with the single goal of winning. Our team keeps a winning mentality throughout the season and has high aspirations of winning our conference each year and continuing on to the National Tournament. The Women's Club Basketball Team encourages new members to join the team—no experience is needed!We are dedicated women working hard to make the team a well known and strong addition to the MSMU Club Sports program. As a team, we volunteer for Special Olympics Maryland and hold our annual 3-on-3 tournament fundraiser with the help of Intramural Sports. We love to get involved in community service opportunities and plan to host more fundraiser.We have played against other colleges and universities during our time as a club, such as Villanova, Towson, Stevenson and North Carolina A&T. We are also looking to scrimmage and play in tournaments with other schools this season and are willing to travel within the Maryland, Washington, D.C., Virginia, Pennsylvania, and Delaware area. 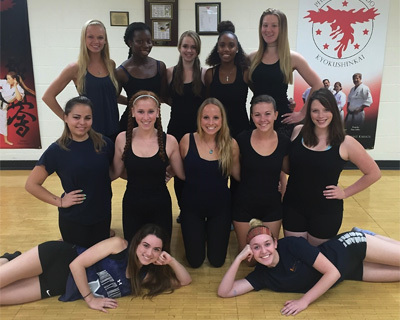 The Dance Team is made up of a variety of talented and enthusiastic dancers, who enjoy supporting the Mount community. The team performs at men's and women's basketball games, as well as various school-sponsored activities. We specialize in a variety of dances and practice for two hours, four days a week. The season begins in early September, and ends in early May with a final dance showcase. We have started to compete at local college dance competitions and plan on competing in the future. The Mount Dance Team is a great way to show Mount spirit and perform fun, but challenging routines. 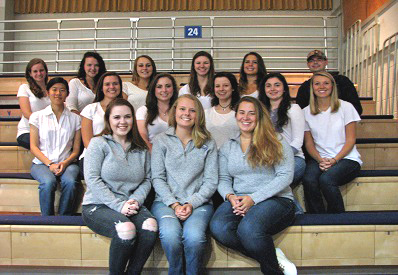 Mount St. Mary University's Riding Club (MSMURC) and Intercollegiate Equestrian Team (MSMET) is a club sport that is partially funded by the university, but primarily through club fundraising and individual student dues. The MSMU Riding Club is an organization that is comprised of students, faculty, staff, and parents who are interested in the social and educational activities of the local horse community. Members are involved in lessons, trail rides, clinics, and often come to cheer the MSMET at intercollegiate shows. Both the club and the team were started in 1998 by several Mount students.The MSMET competes in Zone IV, Region I of the Intercollegiate Horse Show Association. The MSMU team competes against fifteen other colleges in Maryland and travels to different schools for shows. Students do not bring horses to these shows, but instead, ride those provided by the host college. Riders randomly select horses to ride, and without practice, go into the ring to compete. The goal of the intercollegiate competitions is to allow riders of all levels (beginners to "open level") to enjoy competition as both an individual and team member. Riders can advance to Regionals, Zones, and even on to Nationals.The "home" of the MSMU Riding Club and Team is Middle Creek Stables. The stable is located just a few minutes from campus, off of Route 15. Head coach, Janis Groomes, is the owner of Middle Creek Stables and also provides lessons there. 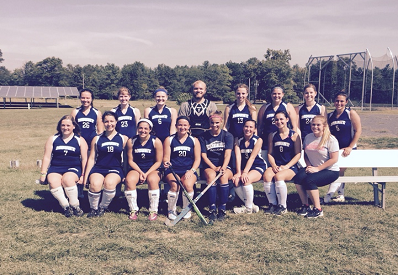 The Mount St. Mary's Field Hockey team is a member of the National Field Hockey League. We play teams from across the mid-Atlantic region.We welcome anyone who has any interest in field hockey regardless of their level of experience. If you are interested in learning more please feel free to email us. 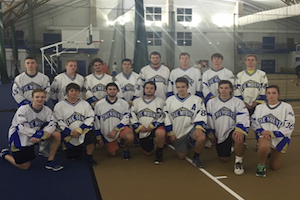 The Mount St. Mary's club ice hockey team has been active for 20 years. The team is in its third season in the Delaware Valley Collegiate Hockey Conference (ACHA-Div III). 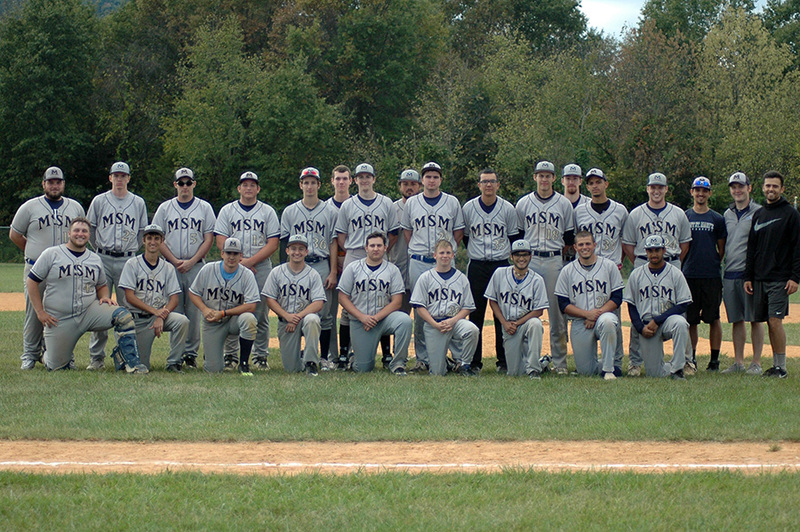 Within the league, the Mount plays against schools such as Dickinson, Penn State Harrisburg, Johns Hopkins, Gettysburg, Desales, and Salisbury. The Mount's schedule also includes games against non-league opponents.The Mount Hockey team practices each week, both on and off the ice. The team usually plays about 20 games per year.If you are a high school or junior player looking to continue your playing career in college, the Mount is just the place. Like us on Facebook at Mount St. Mary's Club Ice Hockey. For more information, please contact Ryan Wilburn, president, or Anthony Lerro, director of recruiting. The Men's Club soccer team is part of the Region I Soccer League that expands from Washington D.C. up to New England. In our division. we play teams such as the University of Maryland, Johns Hopkins, and Towson University.In season we practice 3-5 times during the week in the afternoon and have 1-2 games on the weekends. The team is both competitive and fun. 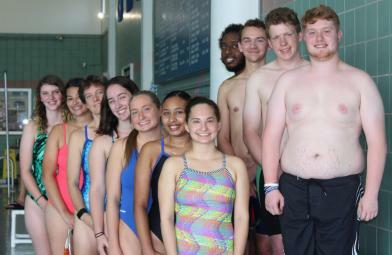 The MSMU Swimming Club is a co-ed team that welcomes swimmers of all skill levels and abilities. The goal of the swim club is to provide a fun environment for members to continue their swimming careers or to improve their swimming abilities.Mount St. Mary's University has a six lane, 25 meter swimming pool, and attached men's and women's locker rooms, which are available for club members to use.Check out the Mount St. Mary's Swim Club store for the latest swimming gear! Mondays and Wednesdays: 4:30-6 p.m.
Tuesdays and Thursdays: 3:30-5 p.m. The MSMU Tennis Club welcomes players of all skill levels and abilities. The Tennis Club practices three days a week with different days devoted to enhancing various skills (serves, backhands, forehands). With our wide range of skill levels the club offers both social and competitive play. Mount St. Mary's University has eight outdoor tennis courts and one indoor court, which are available for members to practice on.At the beginning of the 2015 season we traveled to Shippensburg to compete in matches where we won five out of 10 matches. The second match of the season was against West Virginia A and B team. The team unfortunately took a hard fought loss against the A team while putting up a successful win against the B team. In 2016 we went to a tournament at Georgetown University and played teams from Princeton, Boston College, James Madison University, University of Pennsylvania and others. We put up a fight against the other teams of the USTA and had a great time meeting new people.The Tennis Club joined USTA Mid-Atlantic States league this past year, and has competed in three tournaments with plans to participate in more. 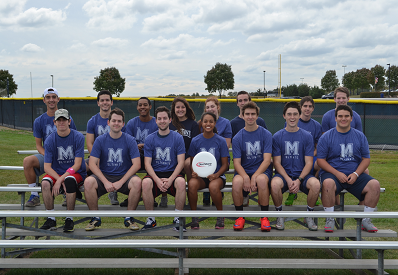 The Mount St. Mary's Ultimate Frisbee Club, a relatively new club sport, is a competitive, co-ed club team that scrimmages other schools in the area.We so far have scrimmaged several schools in the surrounding area. We look to include players of all levels on our team as Frisbee is an easy sport to pick up! If interested in joining the team or scheduling a scrimmage, please email clubsports@msmary.edu. 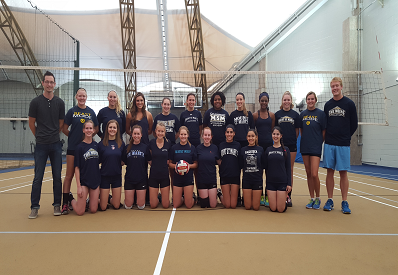 The Mount's Women's Club Volleyball team is a highly competitive travel team that has developed into a competitive team and grown significantly since its beginning. Players come from a variety of backgrounds and have various levels of experience.Throughout the academic year, they compete in travel tournaments at other colleges spanning the east coast from Virginia to New York. Every team member is expected to attend all practices. The team's players are united by an eagerness to develop their individual skills while contributing to the growth and success of the team. The girls become close friends on and off the court and create memories to carry with them after their college days have ended. Running a club sports team is a lot like running your own business. So, becoming a team leader (or even starting your own team) not only insures that you will have a say as to the direction of your team, but it will also allow you to gain valuable life skills in the process.